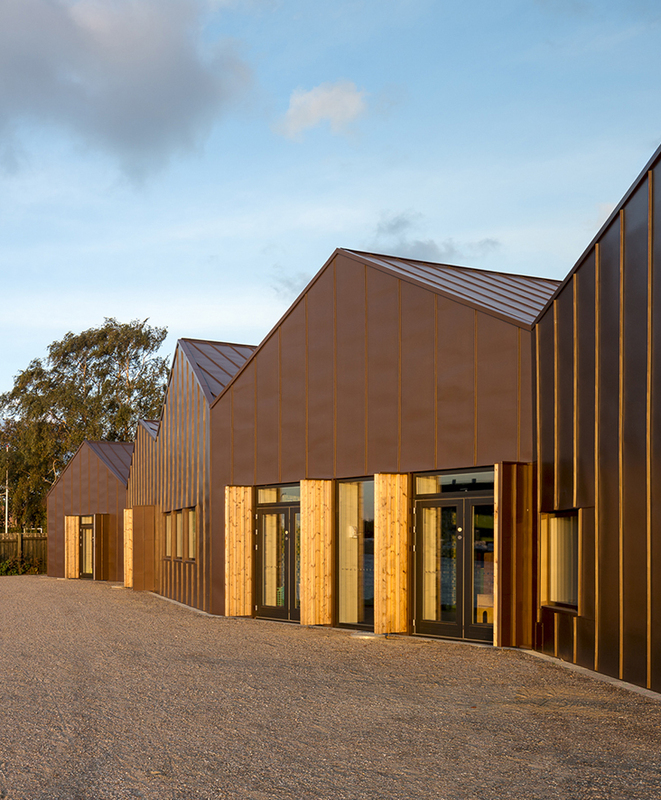 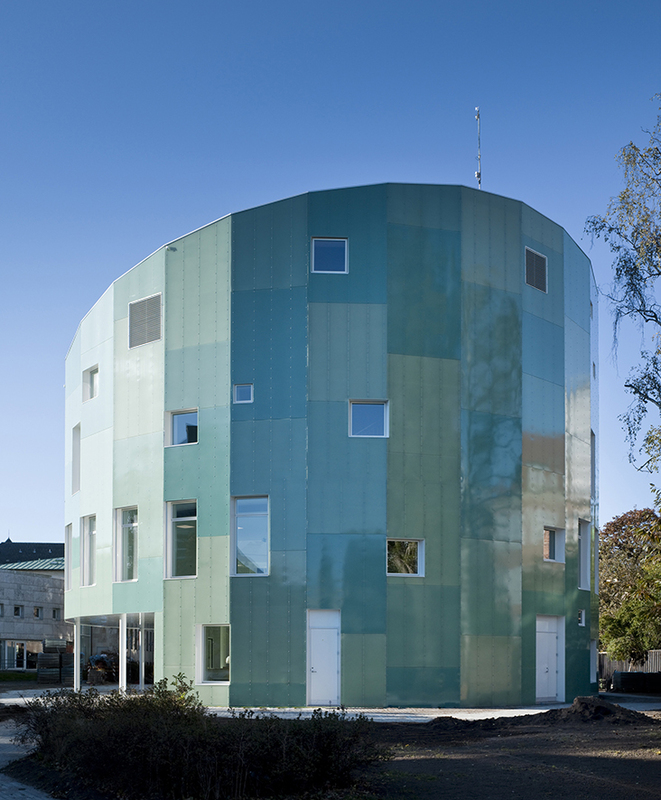 Respectful of its surroundings, Kastelgården kindergarten realises the area’s potential for play and learning. 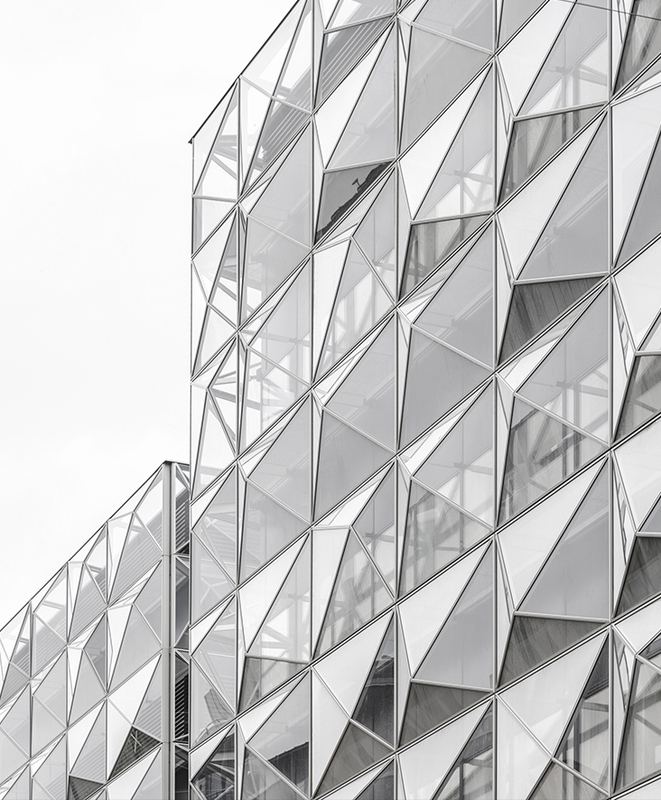 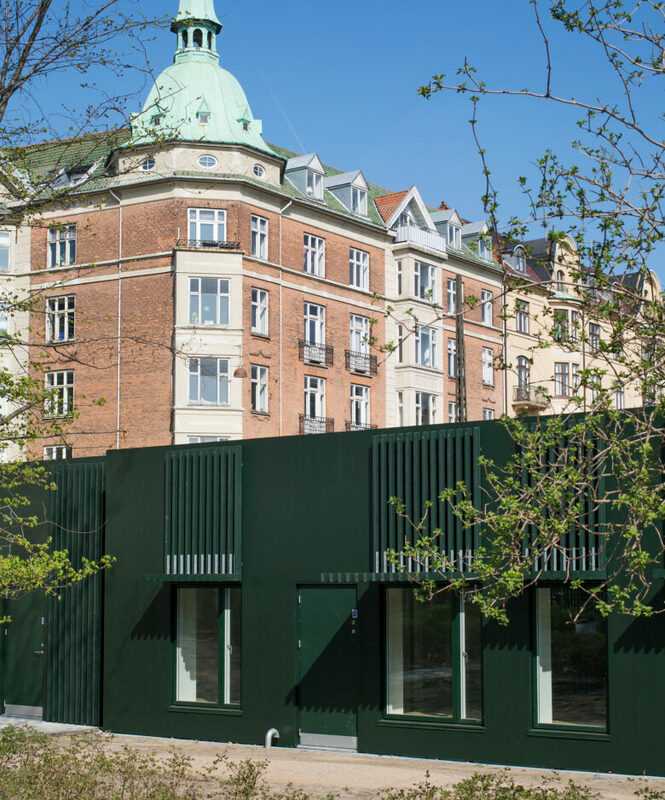 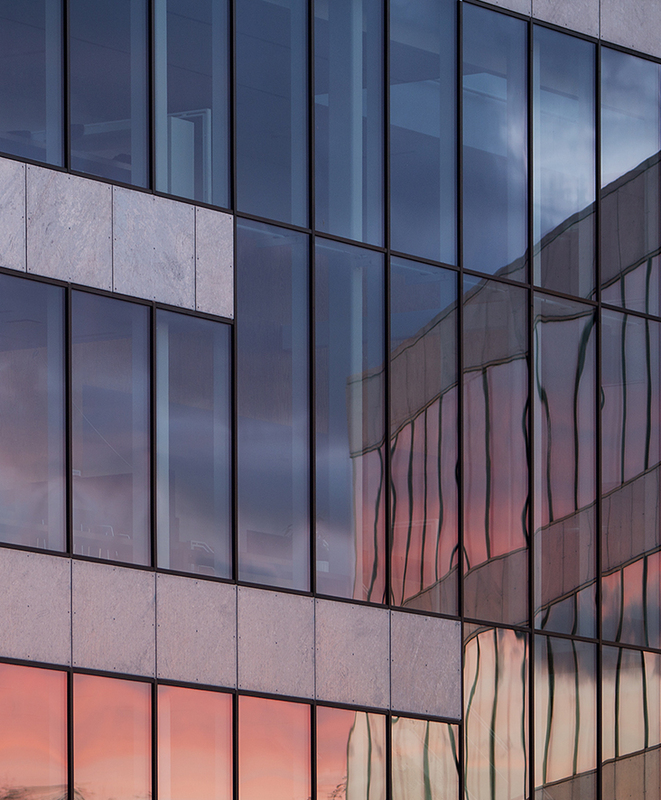 The distinctive design is inspired by the existing urban environment with parks, embassies and classic Copenhagen residential buildings. 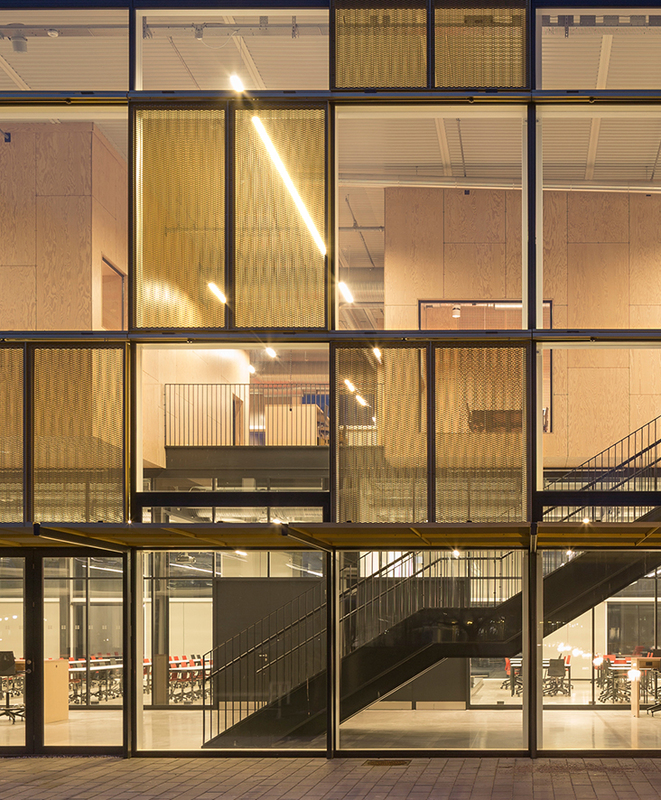 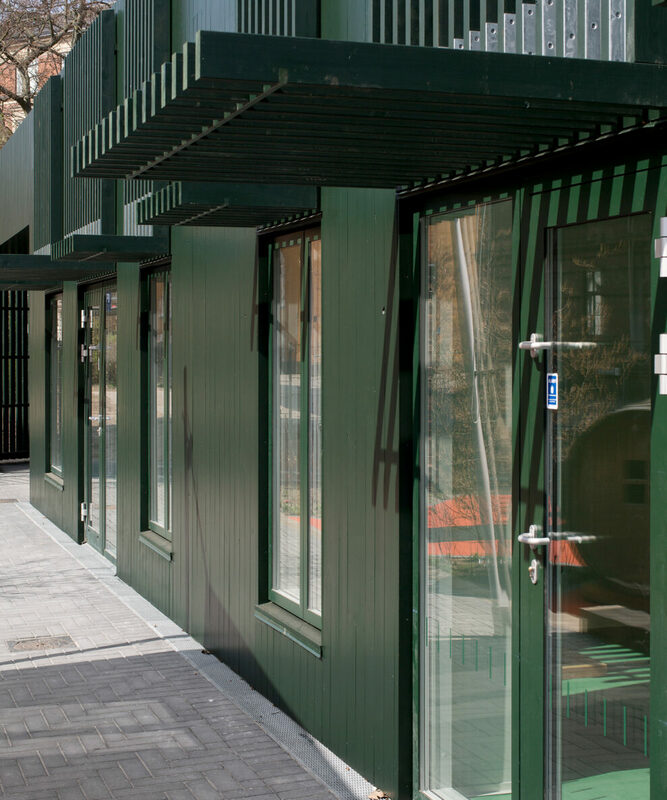 Thus, along the street, the low building is a reference to the nearby board fences, while the institution’s green wood cladding harmonises with the district’s colour scale. 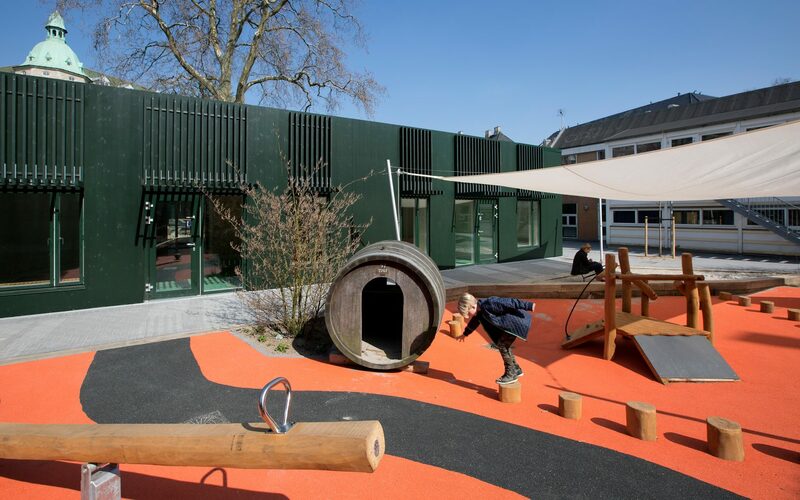 Towards the playground, the extension forms a gentle green curve sweeping around a large chestnut tree, which becomes the natural gathering point for both children and adults. 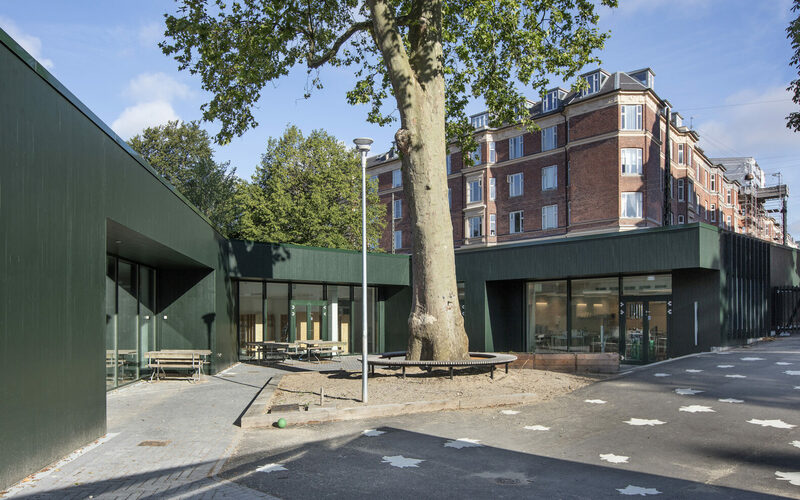 The dark green colour of the building and the moss of the roof creates a link to the greenery of trees and nearby parks. 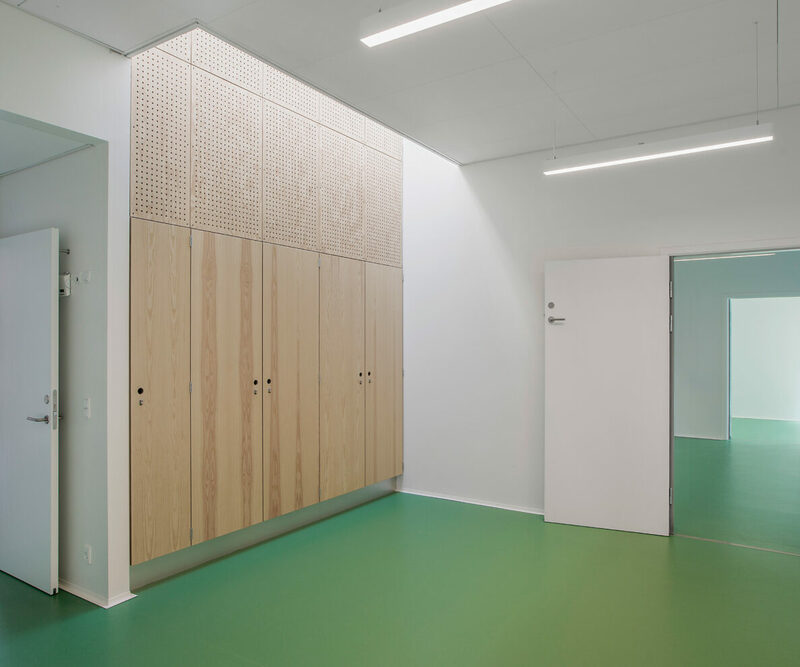 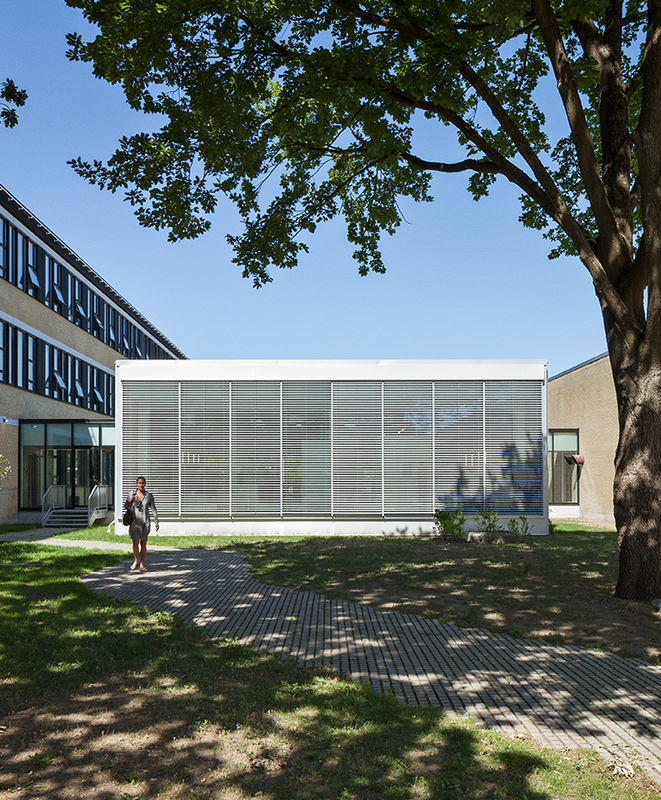 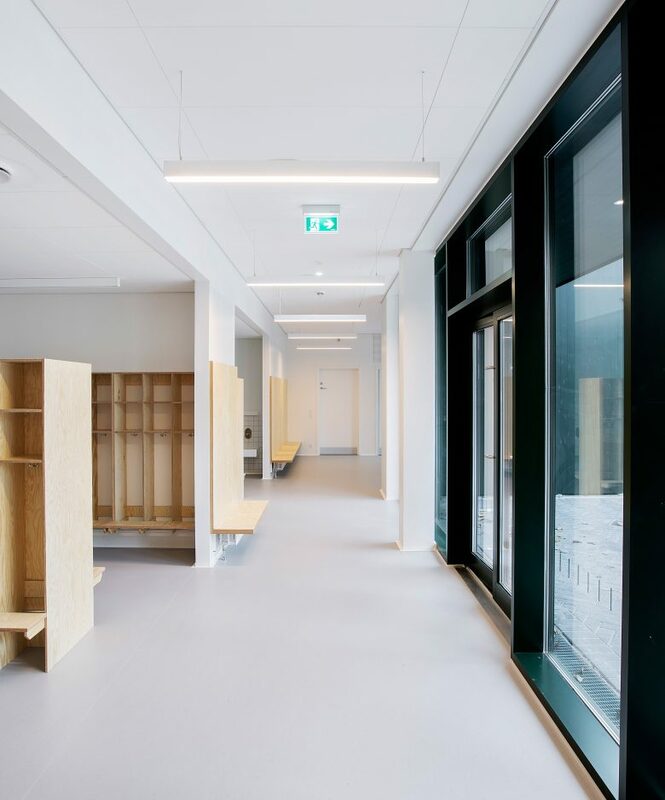 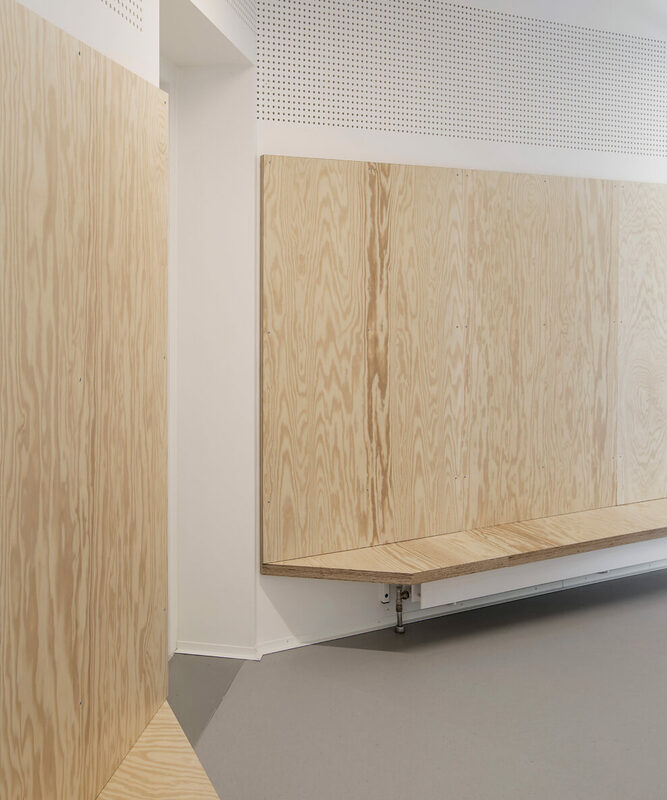 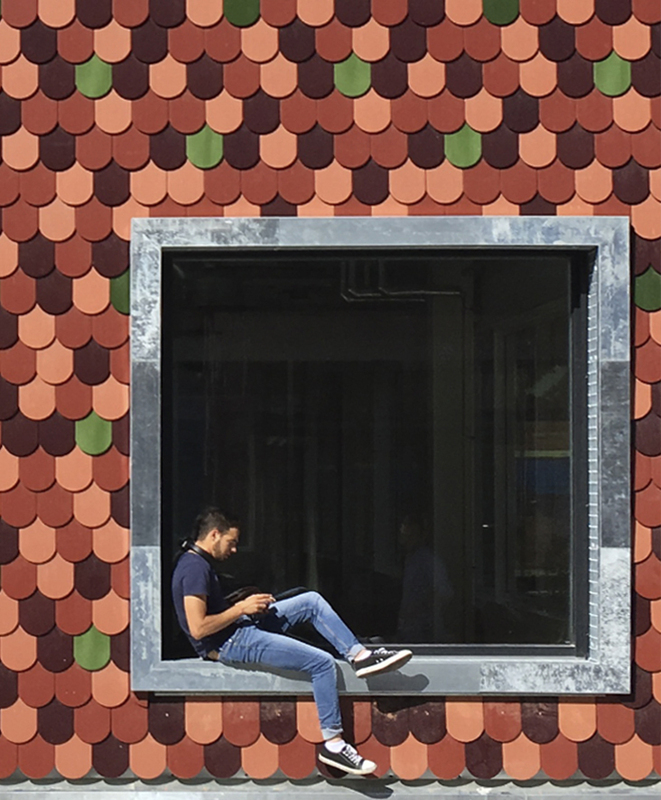 The building unites the kindergarten by opening up a welcoming entrance area, while at the same time accommodating facilities for 68 new children. 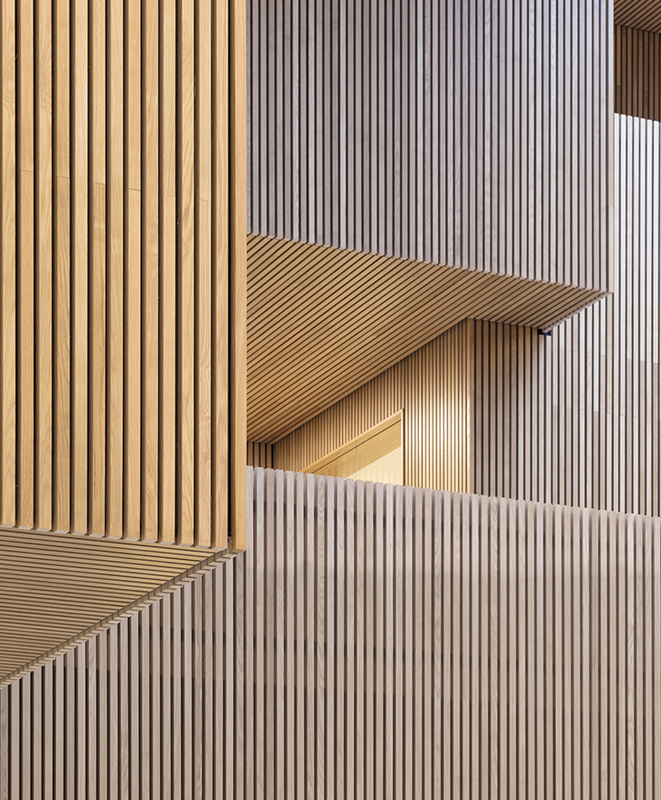 Inside, a combination of discreet skylights and large panoramic windows create bright and airy rooms that make the most of the Nordic daylight. 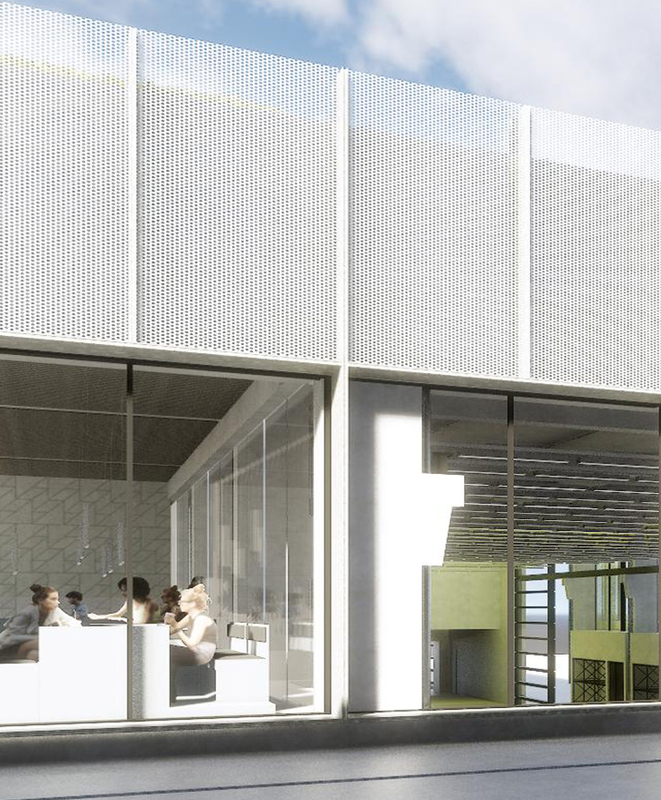 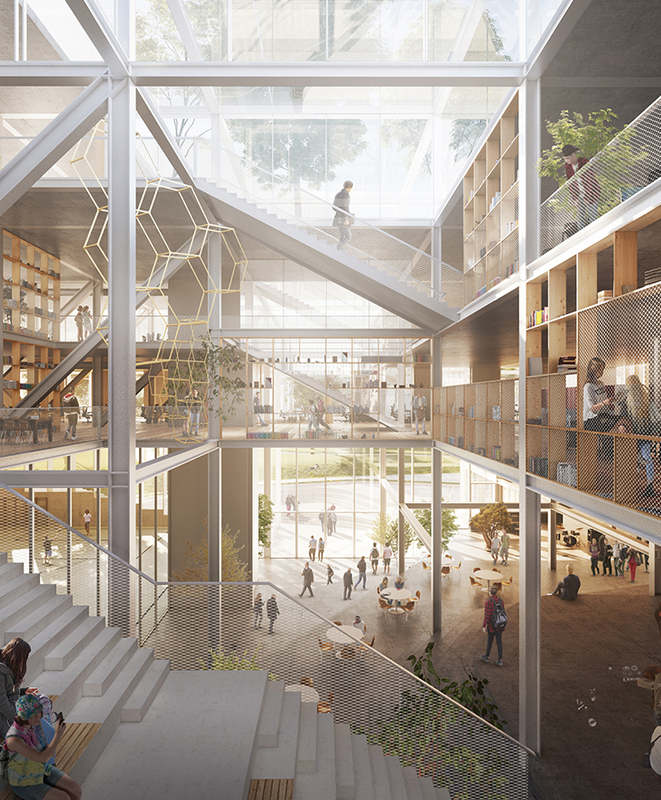 Further, the skylights add a sense of height, while the window sections draw the green surroundings into the interior universe.